Spring is finally here! The weather is getting nicer (at least on the west coast - east-coasters, you will get there soon!). As we shift from winter to spring many people get the urge to lighten up their food choices and begin to detox. This is a natural response to mother nature providing us with more fresh fruit and leafy greens as opposed to the wintery root-vegetables. It is great to listen to this urge and provide your body with as many fresh nutrients as possible! Where fresh food is the ideal, we know that it is not always possible to get in the recommended 8-10 servings of fruit and vegetables daily. This is where finding a high-quality greens supplement comes in handy. One of our favorites is Genuine Health's Greens Plus. Just one serving daily provides a synergistic blend of over 23 plant-based essential nutrients. Our favorite thing about Greens+? The fact that you can take it with you on the go. This is one of the easiest supplements to take as you can just throw a scoop in your water bottle and you are set for the day! 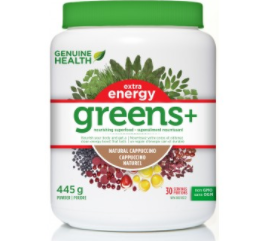 Greens+ was Canada's first superfood supplement of its kind and was developed out of a need to educate and support people to eat a whole-foods, nutrient-rich diet. Since 1999, Genuine Health has invested in 8 research studies to prove the efficacy of greens+ and its far-reaching health benefits, including: • Increased energy and improved overall well-being - guaranteed* • High Oxygen Radical Absorption Capacity (ORAC) - a measure of antioxidant ability for anti-aging support • Bone support through the production of osteoblasts** • Antioxidant equivalent of 6 servings of organic fruits and vegetables • Low Potential Renal Acid Load (PRAL) - a measure of alkalinity (a more alkaline body = a healthier body) These are some of our favorite Greens+ products: Greens+ Multi Despite following a healthy diet, we could all use extra nutritional support. 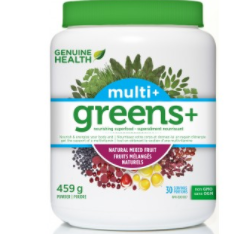 To get your daily greens plus a complete multi-vitamin, consider Greens+ Multi+. 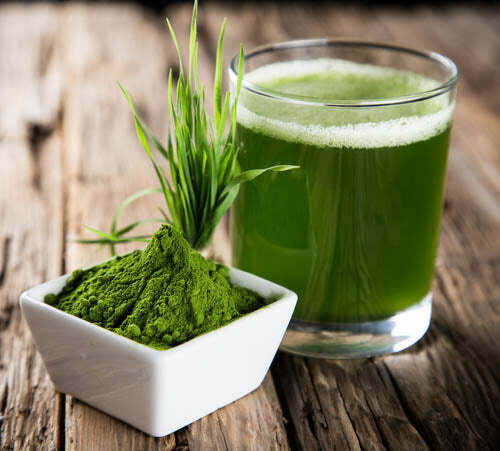 Just one scoop provides a full serving of Greens+ that’s rich in phytonutrients and antioxidants, plus the convenience of a superior quality, high potency multi-vitamin/mineral supplement. Greens+ Extra Energy This is a great way to start your day! Trade in your cup-of-joe for this nourishing and energizing greens powder. You will get the benefit of extra energy that lasts all day, without a crash. These are just a few of our favorite Greens+ products. Which one do you use?